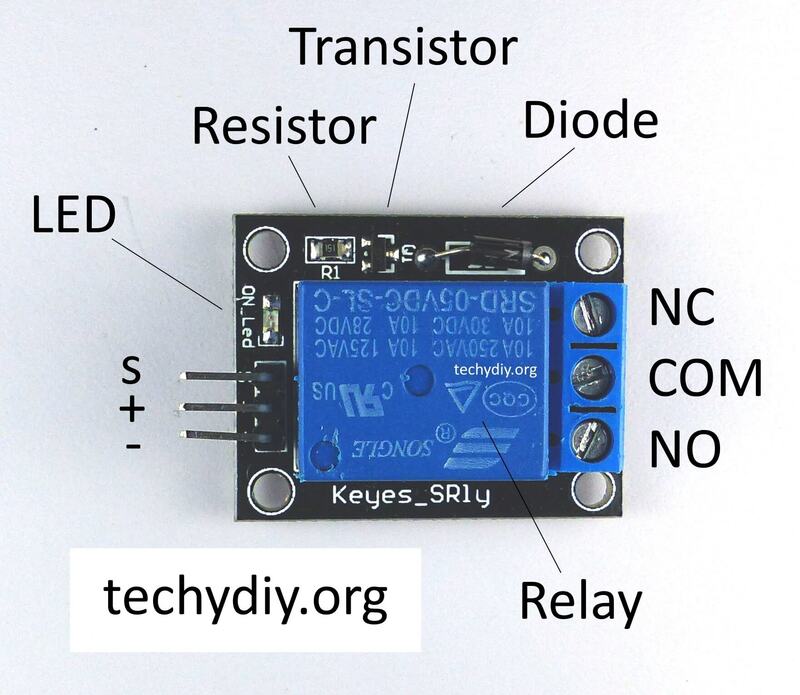 The Keyes SR1y relay module is an active high relay module with an SPDT relay. The + pin is connected to a +5V DC power supply. The – pin is connected to the power supply ground. The S pin connection is the input. 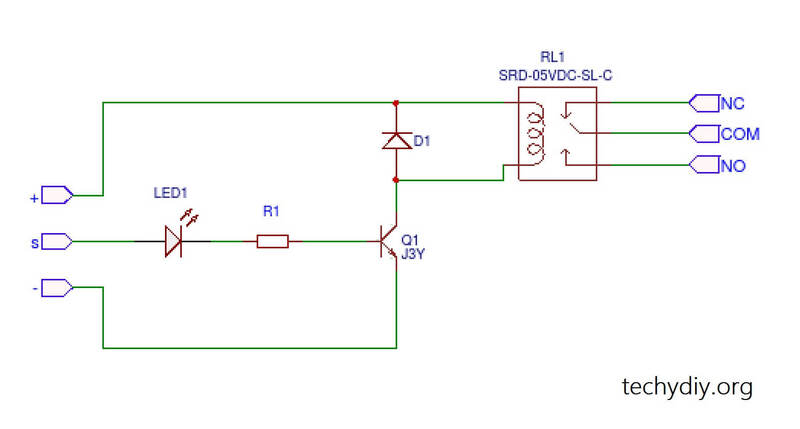 The relay and led will operate when a high signal is present on the S input. The diode across the relay coil is there to prevent back emf from the coil. The transistor provides current gain and a small input current can switch the relatively large current required to operate the relay coil. The S input of the relay board can be connected to any of the Arduino Uno digital outputs. in this case, it is connected to pin 13, which is turned on and off (along with the Uno onboard led) by the blink sketch example. A 12v led light strip and a 12v battery are connected in series to the COM (common) and NO (normally open) contacts on the relay module . The relay will operate when the output from the Arduino is high and turn on the led strip. Adding another led light strip to the NC (normally connected) contact of the relay creates alternate flashing led strips. This entry was posted in Arduino on February 8, 2017 by techydiy.